This chapter studies the corporate social responsibility (CSR) initiatives of the leading Mexican business groups. Investigating in family firms is essential because they represent the world's most predominant form of organization. One way in which family firms organize their economic activity and structure are business groups. Mexican family firms conform to business groups within the same family. The purpose of this chapter is to inquiry the corporate social initiatives emanating from the main Mexican business groups. Through quantitative and qualitative exploratory research, findings show that business groups in Mexico orient their corporate social initiatives into internal and external strategies, and tend to distribute disproportionally the amount of initiatives and money invested among each of its affiliates. Also, firms affiliated to a business group have a higher probability than unaffiliated firms of being classified as “sustainable,” according to the IPC Sustainable Index. A family firm is a business governed and managed by a dominant coalition, the family, that is potentially sustainable across generations (Chua, Chrisman, & Sharma, 1999). 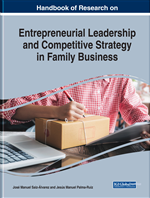 The study of family firms is significant as family firms are the world’s most predominant form of organizational structure (Claessens, Djankov, Fan, & Lang, 2002; Faccio & Lang, 2002; Porta, Lopez-de-Silanes, & Shleifer, 1999). Groups are one particular form of family firms to organize their economic activity, structure, and behavior. Business groups as types of organizations have caught the interest of research academics such as Sargent (2001), Chang (2003), Campbell and Keys (2002), among others. Other scholars (Chung & Chan, 2012; Masulis, Pham, & Zein, 2011) have studied business groups as organizations with an active family component. Business groups are common around the globe, particularly in Latin America where they are named Grupos. A Grupo is a term that refers to a conglomerate owned and controlled by families or closed groups of investors (Castañeda, 2000). Two characteristics distinguish Mexican groups (Castañeda, 2000). First, a Grupo can take advantages derived from economies of scale or economies of scope, transaction costs, monopolistic positions, and risk diversification (Castañeda, 2000); the composition of business groups also helps to cope with the uncertainty of weak financial markets and the lack of investor protection (Guillen, 2000). Second, a Grupo is a network of firms, organized in vertical and horizontal links in which the cross-shareholding and exchange of executive positions is a standard feature. The rest of the chapter refers to Grupos as business groups. Friedman (1970) established the view of companies as a profit-making machine. Contrary to this approach where a business's primary and only responsibility to society is the use of its resources for daily operations to increase profits, is the notion that social responsibility can be taken care of at the same time as shareholder value maximization. When businesses try to strategically accomplish the economic, legal, ethical, and philanthropic social responsibility goals set by its different stakeholders, then those businesses are said to be acting in a Corporate Social Responsibility (CSR) way (Torres-Baumgarten & Yucetepe, 2009). The purpose of the present chapter is to explore the Corporate Social Practices of a business group. From a financial point of view, the composition of business groups has advantages. Group structures can reduce diversification costs and provide private capital used for the creation of new ventures (Khanna & Palepu, 2000a); they can also take advantage from low-cost production derived from economies of scale and scope (Castañeda, 2000). What remains unknown are the benefits of CSR as it pertains to a business group. In this chapter, the aim is to inquire about the main CSR initiatives of Mexican business groups and also to explore if those initiatives can generate any benefit for the business group or their affiliated firms. Affiliated Firm: Refers to a firm that pertains to a particular business group. Unaffiliated Firms: Firms that do not pertain to any business group. Resource-Based View (RBV): Management theory that explains the firm as a bundle of resources. Business Group: A set of firms that share characteristics. In the Mexican context, business groups are a set of firms owned by the same family. Socioemotional Wealth (SEW): A term that refers to those non-financial goals of the firm that meet the family's affective needs, such as the ability to exercise family influence, family identity, and the perpetuation of the family dynasty. Family Firm: A firm owned by a controlling family.